The company now known as BONECO healthy air started as a family-owned company in Widnau, Switzerland in 1956 under the name PLASTON. In that year, Hans Frei and Roland Frei worked through a challenging situation to found a company for processing high-quality plastics. Back then the company was run out of the garage of our own house and with energetic support from the whole family. 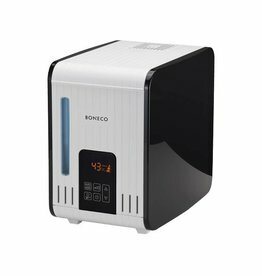 Today, BONECO healthy air is the world's leading provider of all mobile air treatment appliances and the only one of its kind where skill and expertise in all systems is concerned. BONECO AG was founded in April 2015 and is part of the PLASTON Group. The Steam Humidifier system heats water to the boiling point and the generated steam helps to humidify the indoor air fast. By boiling the water, this system helps to eliminate bacteria in the steam and mineral-free humidification is guaranteed. Furthermore, energy is set free by the warm steam which slightly increases the room temperature, resulting in a more comfortable environment. Healthy humidification of the indoor air is guaranteed anytime, anywhere.